It's not everyday that a bear is spotted wandering through suburbia, and it's rarer still to see one that's adopted the upright gait of the locals. 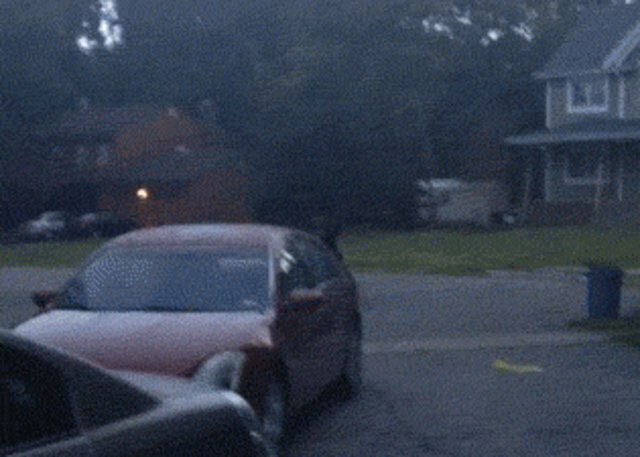 But a black bear recently caught on camera in a northern New Jersey neighborhood has apparently taken to getting around on two-feet. "It's always amazing the injuries that animals are able to persist through," says Kevin Wenner, of the Pennsylvania Game Commission. "When you think of the injuries that put us humans down, we have a low pain threshold." Whatever the reason for the bear's unusual way of walking, thankfully it doesn't seem to be slowing him down too much.